Cooking is not just about cooking anymore. As consumers our needs are constantly changing and evolving... and these days we require more than just exceptional dining fare, we want to know that the chef is using fresh ingredients, that are preferably sustain-ably sourced, and as a bonus we would like to enjoy a creative dining experience – not just a meal. 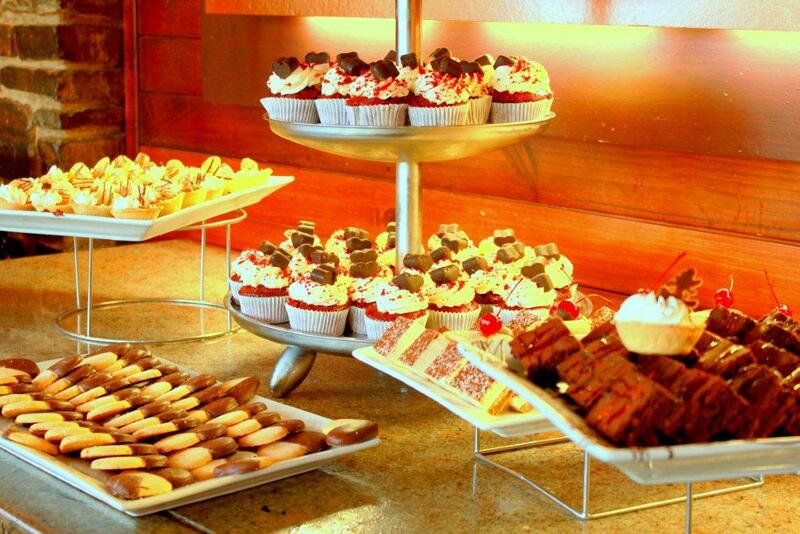 A tall order for some, but not for Tsogo Sun’s Drakensburg Sun Resort Executive Chef, Gary Opperman. 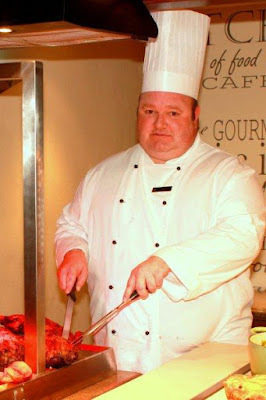 Au fait with Continental, Asian, American and African style cuisines, Gary holds a wealth of experience garnered from a number of five-star establishments in South Africa as well as internationally, which he applies at the Drakensberg Sun Resort. The Resort is nestled in the heart of one of South Africa’s truly magnificent and unspoilt holiday destinations and provides guests with the ultimate escape from city living. Located in the Cathkin Peak area of Central Drakensberg, the Resort offers a rare blend of natural beauty, tranquillity, exceptional dining experiences and a superb range of activities - drawing visitors from across the world. A prime example of a consummate professional with immense passion for his craft, Gary is dedicated to developing young professionals and embraces the natural change of the industry at every opportunity. During his 25-year career he has garnered praise from a number of high-profile guests, including Nelson Mandela, Tina Turner, Whitney Houston, Michael Jackson and various CEO’s of blue chip companies. “The Drakensberg Sun Resort is a unique property. 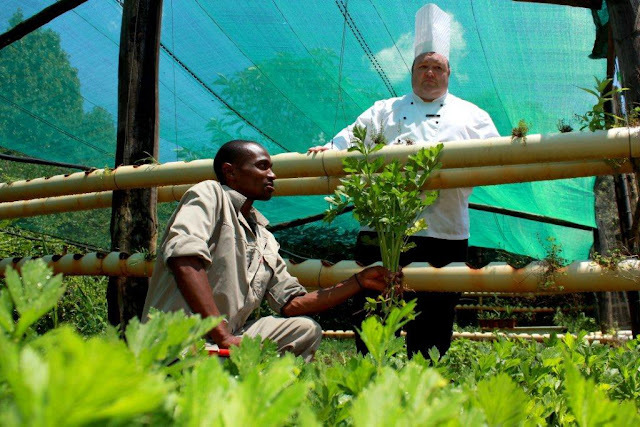 The natural surroundings are enough to invigorate any chef and I actively support and promote the use of our local produce, in keeping with Tsogo Sun’s sustainable tourism strategy,” says Gary. The herb and vegetable garden at the resort started in 2012 as a small project to provide hard to come by herbs and fresh vegetables to the resort’s kitchen. Under Chef Gary’s watchful eye and notable training and support a local entrepreneur, Tobisi has been able to grow the garden and now delivers a wider variety and larger volumes to the local vegetable supplier and the Resort itself. Guests and locals are able to buy produce from Tobisi’s Herb and Vegetable Garden and Shop located the Resort’s premises. 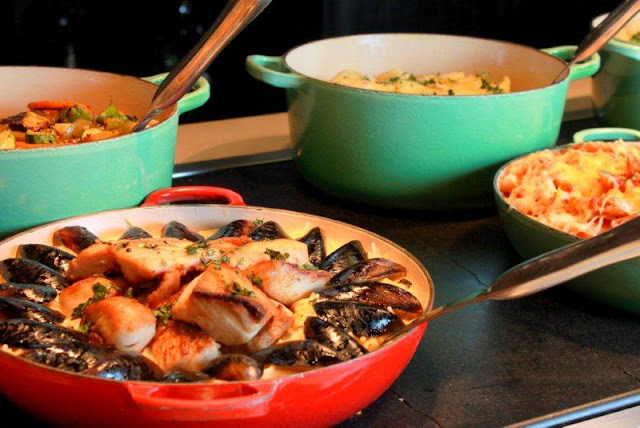 Since joining the Drakensberg Sun in 2013, Gary applied his devotion to his art and experience to enhance the culinary offering of the popular mountain resort to include more than just the well-known country fare. The introduction of live action stations brings something fresh and new to an event. Replacing the standard buffet, live action stations are fun and interactive and allow guests to choose the flavours and types of food they prefer. Additionally, Gary also introduced a Table d’Hôte or fixed price menu, and an improved à la carte menu. Using creative and thematically designed menus, Gary is continuously delighting conference and hotel guests alike! Follow TsogoSun on Twitter and Instagram.